2017 Silver Medal Winner of the International Automotive Media Competition! Relive the first one hundred years of Germany's best two- and four-wheeled rides. Established in 1916, BMW is one of the auto and motorcycle industry's oldest and most-respected car and motorcycle manufacturers. Over the past century, the company went through myriad developments. 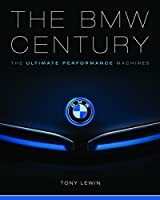 The BMW Century chronicles this remarkable transportation company through images of the cars and motorcycles it manufactured, from the 1923 R32 motorcycle to sleek electric cars of today. This handsome volume is filled with images, history, and in-depth looks at the incredible machines BMW created year after year. The BMW Century showcases how the company's new visionary team systematically rebuilt BMW in the post-World War II years into the spectacular success we know today - that is, a company with sales projected to be upwards of two million cars annually by 2016, led by its 3-series, the best-selling luxury-performance car in the world. BMW's motorcycle division is no less legendary. It began with the 1923 avant-garde R32, which featured a 180-degree, horizontally opposed twin, the engine configuration that would become BMW's hallmark. Along the way, BMW would use that configuration to power groundbreaking machines like the R90S, R100RS, and R80GS. Beginning in 1983, they would add three- and four-cylinder machines to their offerings, culminating in today's spectacular S1000RR sport bike. From the pre-war motorcycles to the iconic R-series twins of the 1970s and 80s to the mighty M-series cars and superbikes of today, The BMW Century offers a full review of German engineering at its finest. The book is illustrated with hundreds of historic, contemporary, and racing photographs - many sourced from BMW's archives - and detailed text relating the BMW's full history. 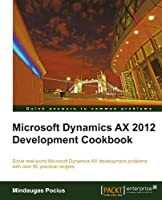 This is the one volume no BMW aficionado can be without.